The Floatgen wind turbine, currently docked in the port of Saint-Nazaire before being towed offshore, produced its first electrons on Thursday 14 December. Prof. Ahmed LOUKILI, Centrale Nantes, was appointed member of the Board of Directors of the Ecole Française du Beton on November 27th. See you on Tuesday 19th December, on the Centrale Nantes campus for the first edition of the "Matinales de la transition écologique" (Ecological Transition Mornings). On the programme - Samuel Courgey, project manager and specialist in insulation using natural materials, talks about his experience. "Study of the integration of wave energy systems into the electricity grid - Development of a model of the wave to the electrical network"
"Variational h-adaptation for strongly coupled problems in thermo-mechanics." To allow for the analysis and control of flows around obstacles such as aerodynamic blade profiles for applications such as Marine Renewable Energies, the aerodynamic wind tunnel is undergoing renovation. Ouest Industries Créatives - Research, Training & Innovation program on creative industries in Pays de la Loire, of which Centrale Nantes is a partner - has opened a call for projects from teachers-researchers to support research projects on the creation of experiments and their scientific evaluation. The call for projects is all about opening and consolidating new areas of expertise around original topics with high potential for development and visibility. TEDx Centrale Nantes: "A new brave world" on campus on Saturday 9th December. Get your tickets now! Florent LAROCHE, lecturer and researcher at Centrale Nantes and member of the IS3P team of the LS2N Laboratory, will defend his 'accreditation to supervise research' at 9am on 8th December, in Lecture Theatre S, on the Centrale Nantes campus. An opportunity to meet Mazars staff in a unique setting! Centrale Nantes will host the national operation of the ‘Tour de France Agir Ensemble’ (Act Together, tour of France) from 4 to 8 December. On campus you’ll be able to discuss climate and food issues and take part in educational and fun workshops on eco-friendly action. "Étude expérimentale et modélisation numérique des écoulements de compression dans les composites stratifiés visqueux à plis discontinus". (Experimental Study and Numerical Modeling of Compression Flows in Viscose Composites with Discontinuous Folds). As part of the AlimenTerre documentary film festival, the Engineers Without Borders Nantes association invites you to watch the film "Bugs" on campus at 6:30 pm on Wednesday 29 November. As every year, the Student Arts Association offers students and staff the opportunity to showcase culture for a week of campus events. Discover the programme! Congratulations to our students for their performances at the qualifying rounds of the French Cross-Country Student Championship (7 km). They won second and third place as well as the team event on 23 November in Le Mans. Conference on: "safety at sea, an issue for all users"
The Centrale Nantes Team Voile (Sailing Association) invites you to a conference-debate on the theme of "Safety at Sea", which will be given by first Officer Pierre-André Saladay, navigator, radar operator and tactician on the Falcon 50 in the 24F fleet of the French Navy. See you on campus on November 22nd. "Modelling, simulation, artificial intelligence ... Discover the super powers of high performance computing!" Visit the campus on 21 November for a breakfast meeting on high performance computing and a visit of the supercomputer organized by Atlanpôle, technopole and member of the European Business and Innovation Centre Network. Open to students and graduates. The Centrale Nantes Careers Service is holding a workshop in the form of improvisational theatre to answer your questions about your internship or job search. What place should digital objects - from robots to screens – have in childhood? Join in the discussion and discover new experiments in therapeutic and/ or family mediation. Sign up for the free conference, from 7pm to 9pm on Tuesday, November 21st in the Maxi Room at STEREOLUX. Prof. LAURENCE BRASSART, Department of Materials Science and Engineering at Monash University, in Australia, is at Centrale Nantes from 20 November 2017 to 22 December 2017. She was invited by Laurent Stainier, member of faculty in the Research Institute in Civil and Mechanical Engineering (GeM). Congratulations to all our artists! The Nantes team brought home another cup for the school by winning the first edition of ICAre, Inter-Centrales for the Arts. As part of the Maison des Sciences de l’Homme Ange-Guépin's activities on "digital societies", its Steering Committee is organizing a doctoral event on 15 and 16 November 2017 on the following two themes: "Transformation of digital practices "and" Criticism, appropriation, resistance". Sign up now! Centrale Nantes will be present at Composites Meetings - the international business convention for composite manufacturers and users - on the 8th and 9th November 2017 at the Cité Nantes Events Center. Following a first successful test flight on October 30, 2017, the world's first drone, which is autonomous in energy and decision-making, was inaugurated on Monday, November 6th. The drone was designed by a French start-up, XSun, in partnership with Centrale Nantes, Airbus and Dassault Systèmes.Powered by solar energy, its consumes less than its capacity to recharge itself. The drone is thus set to smash the world record for flight duration in 2018. "Create differently". This will be the theme of Centrale Nantes’ first summer school, which will be held from 3 to 6 July, 2018 in Nantes city centre. Please note that registration will open in January 2018. "Using bioprecipitation of calcium carbonates to improve the quality of recycled concrete aggregates". SEM-REV, the Centrale Nantes offshore test site has participated in the international meeting of the European offshore test sites for several years. The actions of SEM-REV are in line with the various recent initiatives aimed at promoting exchanges between test sites such as UE MARINERG-i, FORESEA, MARINET1 and 2, THEOREM, etc. "Application of the large-scale simulation approach to the evaluation of wind loads on structures". In september FORESEA (Funding Ocean Renewable Energy through Strategic European Action) opens third call for offshore renewable energy technologies. Support packages will help commercialise offshore renewable energy technologies by giving free access to FORESEA’s network of test sites.Support packages will help commercialise offshore renewable energy technologies by giving free access to FORESEA’s network of test sites. "Scale interactions between the lower atmosphere and the urban canopy". October 20th is the annual Ouest Industries Créatives Day, a research, training & innovation programme for creative industries in Pays de la Loire region. Centrale Nantes is a programme partner. "Multi-Scale modeling of in-situ consolidation in automated tape placement process". After Flinders University and the University of Tasmania in early 2017, the University of Adelaide has now signed a cooperation agreement with GEMA (Groupe des Grandes Écoles pour la Marine Australienne - Graduate Schools of Engineering for the Australian Navy) which brings together École Polytechnique, Centrale Supélec, Centrale Nantes and ENSTA ParisTech. "Contribution to the optimization of Unequal Area Rectangular Facility Layout Problem". Centrale Nantes offers tailor-made training courses in partnership with Pôle Atlantique Executive Education. Sign up now for the training day on the budgetary aspects of the construction economy on 17 October. Open to engineers, architects, construction or local authority personnel. The FORESEA programme (Funding Ocean Renewable Energy through Strategic European Action) has launched its 4th call for proposals. The FORESEA project aims to help bring ocean energy technologies to market by providing access to northwestern Europe’s world-leading network of test centres. Through the project, the performance of innovative ocean renewable energy technologies will be demonstrated in real sea conditions, helping to leverage the investment needed to take these new products to market. Centrale Nantes offers tailor-made training courses in partnership with Pôle Atlantique Executive Education. Sign up now for the three-day BIM (Building Information Modeling) Project Management Training starting on 16 October. Open to engineers, architects, construction or local authority personnel. The Marine Renewable Energy Research Group is organizing a thematic training programme on marine renewable energies from Monday 16 to Friday 20 October in Nantes. Within the framework of transnational access of the Marinet2 European project, Centrale Nantes facilities hosted a team from Rostock University to test a new concept of floating wind turbine. Centrale Nantes wins the InterCentrales competition for the fifth year running. Congratulations to all the teams and especially our Nantes sports men and women! Intercentrales 2017:100 matches in one weekend,50 teams ready to do battle,600 players on the Nantes campus,1 cup for the winning school.The legendary Intercentrales is all about defending your school's colours. Ideol, Centrale Nantes and Bouygues Travaux Publics will inaugurate Floatgen, the first offshore wind turbine in France. This historical occasion marks the starting point for a new national industry. Centrale Nantes - AAU and INRIA Rennes are co-organising the next IEEE International Symposium on Mixed and Augmented Reality (ISMAR). It will be held at the Cité des Congrès in Nantes from 9th to 13th October 2017. Online registration is now available. We are pleased to invite you to the Welcome Ceremony for International Students at Centrale Nantes. It will take place on Wednesday 4th October 2017, at 6pm in Lecture Theatre A. Following the awarding of an ANR-ASTRID grant in 2015 for their project PreDeMo-Nav (Deterministic prediction of ship response) , researchers from LHEEA lab at Centrale Nantes are conducting an experimental campaign in the Ocean Engineering tank. The experimental setup aims at simulating remote measurements of wave in order to provide an experimental database for the tests and validations of several numerical models designed to predict wave evolution in real time. Each year, the first-year engineering students work in teams on an industrial study project alongside a company. The six best teams have been selected to present their projects on Monday 2nd October. The best two presentations will receive a prize. Good luck to the finalists! The FWP (Floating Wind Power) Atlantic Forum, an international event dedicated to the industrial development of floating wind energy, will take place from 2 to 4 October 2017 in Saint-Nazaire and Lorient. The FWP Atlantic Forum is a professional event by and for industry, organized by the Pays de la Loire and Brittany Regions, both hubs for marine renewable energies (MREs). "Numerical simulations and modeling of unsteady three-dimensional surface free flows. Application to the boat-rowing-rower system". "Hydrodynamic modeling and optimization of an electro-active wave energy convertor". Grégory LEGRAIN, Lecturer and researcher in the GeM (Research Institute in Civil and Mechanical Engineering) in the Modelling and Simulation research group, will present his defense for his 'habilitation à diriger des recherches' - HDR (accreditation to supervise research) on Thursday 28 September. "Mathematical and numerical study for the Darcy-Brinkman model for diphasic flows in porous media." Centrale Nantes offers tailor-made training courses in partnership with Pôle Atlantique Executive Education. Sign up now for an introduction to Building Information Modeling (BIM) on 26 September. Open to engineers, architects, construction or local authority personnel. "Meta-model and methodological framework for the engineering of an extended organization. Application to extended administration". "Study and valorisation of new thermal management systems of an automotive powertrain"
The Centrale Nantes supercomputer team will tell you all about this powerful machine installed on the school’s campus on Tuesday, September 19, 2017 at the Salon de la Data (Data Fair), the flagship event of Nantes Digital Week. Suresh Gopaldas ADVANI, George W. Laird Professor of Mechanical Engineering, University of Delware, is at Centrale Nantes from 13 September 2017 to 7 June 2018 (except 1st January to 1st March 2018). He was invited by Christophe Binetruy, member of faculty in the Research Institute in Civil and Mechanical Engineering (GeM). Degree apprenticeships at Centrale Nantes: get ready! Are you interested in a degree apprenticeship? The school's industrial partners (Renault, Michelin, Orange, Faurecia, and others) have numerous openings for apprenticeship contracts for the 2017/18 academic year. Four events have been organised for you to get all the information you need to apply. Don’t miss out! Electric future: the startup Geps Techno finalist in the EDF Pulse Awards 2017, vote now! GEPS TECHNO, a local start-up specializing in the development of MRE (marine renewable energy) technologies, is among the 12 start-up finalists of the EDF Pulse Awards. Centrale Nantes is working with this startup within the framework of the Foresea project and to support its bid we invite you to vote up until 8 September for its project as part of the Public Award. The construction phase of the concrete floating foundation designed by Ideol and built by Bouygues Travaux Publics has taken a major step forward with its floatation in the Louis Joubert Lock at Saint-Nazaire. The school is pleased to welcome the new intake of students on the engineering and master's programmes for this academic year. New to Centrale Nantes? Read on for the welcome programme. Congratulations to Marie Dalémat and Thomas Balutch, who received first and second best poster awards at the 10th European Conference on Constitutive Models for Rubbers (ECCMR), which was held in Munich from 29 to 31 August 2017. Professor Arnaud Poitou, who has served as Director of Centrale Nantes since 2012, will not be reappointed to the post on 1 September 2017. Mr Armel de la Bourdonnaye will be appointed as provisional administrator from that date. Florent Laroche, lecturer and researcher at Centrale Nantes, has joined a prestigious circle of around 600 international manufacturing academics by becoming an associate member of CIRP (The International Academy for Production Engineering). Centrale Nantes hosted PHYSMOD for the first time this summer (Workshop on PHYSical MODdeling of flow and dispersion phenomena), a biennial international conference bringing together international experts and young researchers on wind tunnel modelling of atmospheric flows. Workshop on PHYSical MODeling of flow and dispersion phenomena. The positioning of the Floatgen mooring system off Le Croisic marks an important step in the progress of this project and paves the way for the installation of the first offshore wind turbine in France. Hermine TERTRAIS, PhD student at Centrale Nantes in the GeM - Institute for Research in Civil and Mechanical Engineering, received the Best Oral Presentation Award at the 51st International Microwave Power Institute (IMPI) Symposium held in Miami, from 20 to 22 June 2017. "High speed reactive RTM with on-line mixing in dual-scale fibrous reinforcements : experimental and numerical developments and investigations". The MaRINET2 project has awarded €1.3m to 34 technology development teams through a competitive call for proposals. This support will accelerate the next generation of offshore renewable energy technologies towards the marketplace by providing technology testing at MaRINET2’s network of world-leading testing facilities. AKRYVIA, an innovative Nantes-based industrial start-up, incubated at Centrale Nantes, which is revolutionizing sheet metal work in the cutting machine industry, is the winner of the I-lab 2017 competition. The prizes were presented in Paris yesterday by Mrs Frédérique VIDAL, French Minister of Higher Education, Research and Innovation. Centrale Nantes offers tailor-made training courses in partnership with Pôle Atlantique Executive Education. Sign up now for an introduction to Building Information Modeling (BIM) on 4 July. Open to engineers, architects, construction or local authority personnel. The FORESEA (Funding Ocean Renewable Energy through Strategic European Action) programme opened its third call for support package applications today. Support packages will help commercialise offshore renewable energy technologies by giving free access to FORESEA’s network of test sites. The call is open to technologies ready to deploy complete testing before 2019. The call is open until 29 September 2017. The sea test site of Centrale Nantes SEM-REV is one of the FORESEA test center. Professor Vladimir Kucera, internationally-renowned automation specialist from the Czech Technical University in Prague, will be presenting the results of his research on decoupling at a seminar on 20 June at Centrale Nantes. Boris Horel, Phd student at Centrale Nantes in the LHEEA Laboratory from 2013 to 2016, receives the Admiral Daveluy thesis award, which is awarded for work in the naval and maritime fields. Jesus DE LEON, Professor at the Universidad Autonoma de Nuevo Leon (UANL), Mexico, is in Centrale Nantes from 19 June to 19 July. He was invited by Malek Ghanes, member of faculty at the LS2N Laboratory, within the framework of the Renault-Centrale Nantes Chair dedicated to the propulsion performance of electric vehicles. 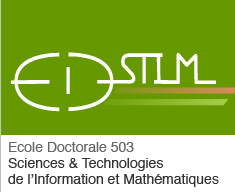 Professor Yuri SHTESSEL of the University of Alabama in the United States, will be at Centrale Nantes from 16 to 30 June. He was invited by Malek GHANES, of the LS2N Laboratory. The 35th edition of the America's Cup began at the end of May in Bermuda. The FINE ™ / Marine software from NUMECA Int. is being used by two of the challengers, Groupama Team France and Emirates Team New Zealand as well as by the holder of the title - Oracle Team USA. Centrale Nantes is also proud to count an alumni, Olivier Herledant, amongst the members of Team Groupama France. Anass Cherki El Idrissi received the 'René Houpert' young researchers award at the 'Rencontres Annuelles Universitaires de Génie Civil' organised this year by the Research Institute in Civil and Mechanical Engineering from 22 to 24 May in Nantes. Having previously secured major ERC funding to undertake their research, Nicolas Moës (Dean of Research at Centrale Nantes) and researcher Gilles Marckmann have been awarded a grant of €150,000 to develop the industrial applications of their research. PhD students, post-docs, researchers, lecturers and engineers - join us in Nantes from 21 to 24 May 2017 for the 35th RUGC (Rencontres universitaires de Génie Civil de l’Association Universitaire de Génie Civil), organised by the GeM (Research Institute in Civil and Mechanical Engineering - Centrale Nantes & Nantes University). The first four participants who completed all the modules received their certificate on May 17 on the Technocampus Ocean site, where the course provided by Centrale Nantes and the University of Nantes was held. Centrale Nantes is co-organising with the Institut de Soudure Groupe the first edition of ICWAM, an international conference on welding, additive manufacturing and associated non-destructive testing from 17th to 19th May in Metz. Floatgen - award-recipient at the "Trophées de la Transition énergétique 2017"
The Floatgen project for the first offshore wind turbine in France, which is soon to be completed in the Port of Saint-Nazaire, received the “prix Energies Renouvelables” (Renewable Energies Award) for the 2017 Trophées de la Transition Energétique (Energy Transition Trophy) organised by L'Usine Nouvelle during a ceremony on Tuesday 16 May in the presence of Jean Jouzel, climatologist and former vice-president of the IPCC. As part of the 7th International Conference on Calculation Methods in Marine Engineering, Centrale Nantes is organizing ECCOMAS Marine 2017 in Nantes in May. Sophie Sakka, lecturer at Centrale Nantes, was appointed a Knight of the French National Order of Merit (Chevalier de l'Ordre national du mérite) at the beginning of May 2017. Congratulations to our outstanding researcher and president of the Robots! association. Liang MA, Professor, and former PhD student, at Tsinghua University in Beijing, China, is at Centrale Nantes from 29 April to 25 June. He was invited by Damien CHABLAT, a member of faculty at the LS2N Laboratory. Otto LAPPI, Professor at Helsinki University in Finland, is at Centrale Nantes from 3 April to 30 June. He was invited by Franck MARS, a member of faculty at the LS2N Laboratory. DataBEST, the 1st Workshop on data-based engineering, science and technology will take place at Centrale Nantes from March 27 to March 29, 2017. For the third time, the "Excellence Conversations" will be held on the campus of Centrale Nantes on Saturday, March 25, in partnership with the Rectorate of Nantes. Najette Fellache will be the godmother of this third edition. Careers workshop: "Start an entrepreneurial project"
The Careers Service is offering a workshop on entrepreneurship on 14th March, in the evening. Open to all Centrale Nantes graduates. Register now! "The whole world is waiting for you in Nantes!" International Week returns to campus from 8 to 16 March. Films, refreshments, evening events, videoconferences, a photo competition... are all on the programme. The Nantes-based NExT (Nantes Excellence Trajectory) project was selected, on 24 February 2017, by an international jury to become an I-SITE within the PIA 2 - Investment for the Future Programme. Centrale Nantes hosted a Malaysian delegation from Universiti Pertahanan Nasional Malaysia and DCNS officials on its campus on 22 February. Objective: to develop a Naval Architecture Technology Master. Centrale Nantes is hosting 12 students from the University of Keio - Tokyo (Japan) on campus for a cultural stay from 13 February to 25 March. (Extraordinary day of imaging, 2017) Save the date! Centrale Nantes is one of the organisers and host of the second edition of the Folle journée de l'imagerie nantaise on 7th February 2017. IRCCyN’s myocontrolled bionic hand will be one of the numerous innovations in health on display at the Cité des Sciences from the 27th to 29th January for the 2nd Day of Innovation in Health co-organised by the French Ministry for Social Affairs and Health and by Universciences. A consortium of four French graduate engineering schools: Ecole Polytechnique, Centrale Supélec, Centrale Nantes and ENSTA ParisTech enter a defence partnership with Flinders University, Australia witnessed by Naval Group (formerly DCNS), the European leader in naval defence. During the visit of the professor Hubert Chanson, from Queensland University, Australia, he will give a conference about ‘Compression Waves and Positive Surges in Open Channels and Geophysical Applications: Tidal Bores and Tsunami Bores’. Marie CATHELIN: “Développement d’un modèle de simulation déterministe pour l’étude du couplage entre un écoulement atmosphérique et l’état de mer”. A delegation from Zhejiang University (China) was present on the Centrale Nantes campus on 4th January. The Nantes-based digital initiative "Nantes 1900", to which Centrale Nantes contributed, has received a ‘Territoires innovants’ (Innovative areas) award from the Interconnectés Association.